"Rathvinden's exalted position in the market is, in part, due to the fact he's eight-pounds better off at the weights with Alpha but, at several times the price, with the extra mile and the National test looking more likely to suit the Gigginstown horse, I'm going to side with him at this stage." 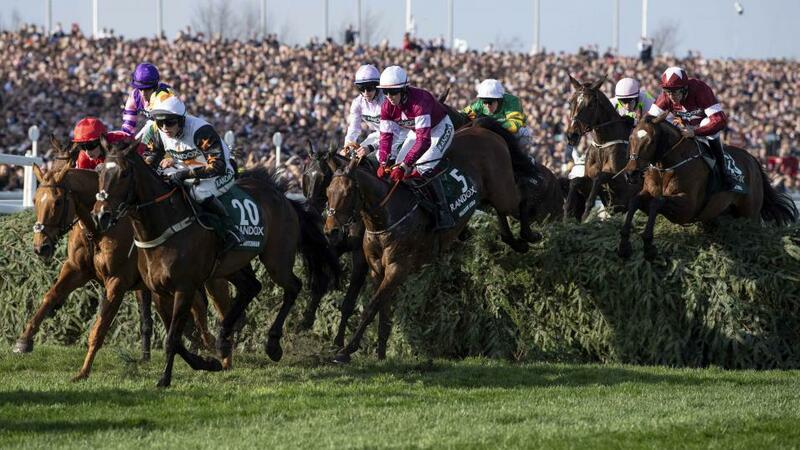 Cheltenham's over, the flat beckons but there's still a small matter of the Grand National meeting at Aintree. This year's edition has been described by some as the first time since Red Rum that there's been a genuine contender for a horse who could do the National double. 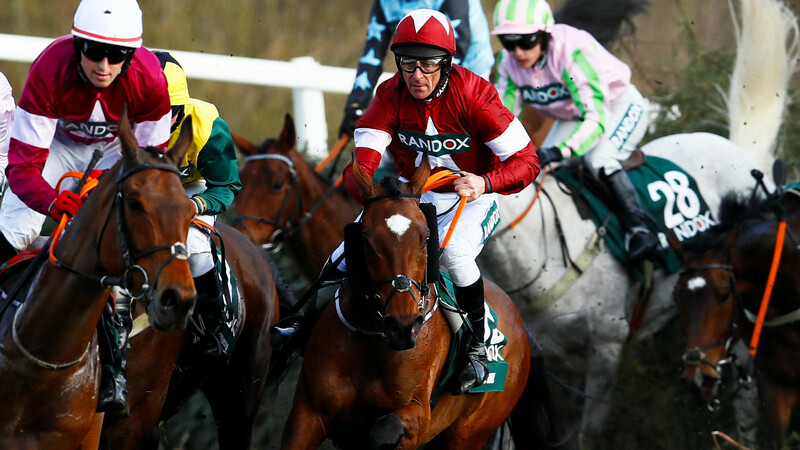 That's an exaggeration, of course - the Trevor Hemmings owned Hedgehunter came close in 2006 and Many Clouds in the same ownership was sent off joint-favourite in 2016 - but Tiger Roll (pictured below) could well go off the shortest price of any horse in living memory. Currently 4/1 on the Sportsbook, I certainly can't recall any animal who's ever traded at this price for a National, let alone two weeks out. 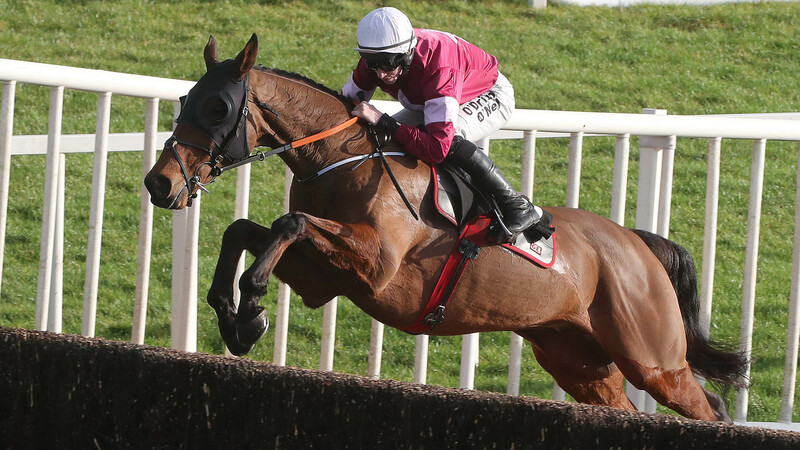 His price is understandable of course: a National winner who, unusually, has looked even better this season winning a Grade 2 Hurdle followed by a facile victory in the Cross-Country chase at the festival. He's officially 8-pounds well-in (the handicapper adjusted his mark to 167 this week) and he looks certain to run his race. There's little not to like, other than his price, although I would posit that his stamina is a small concern. He's never shaped like an out-and-out stayer to me, an unusual thing to say about a horse who's won over marathon trips four-times I know, but hear me out. The Cross-Country chase isn't really a true test of stamina in that they hack around for 3-miles before sprinting at the finish. In the National Hunt chase he was the beneficiary of a very messy contest and a steady pace, got loose on the lead and they never caught up. He looked vulnerable late on that day. A similar set of circumstances with the 2018 National. He traveled brilliantly but the tank emptied pretty drastically in the closing stages and he was nearly caught on the line. Nine-pounds higher than last year, I could well see him travelling like the winner but being outstayed late on. Of the others at the top of the market, you have to respect Rathvinden. He won the National Hunt Chase in 2018 and looked better than ever when beating Alpha Des Obeaux in February. He's five-pounds well-in at the weights and, although the National fences are an unknown, he's typically a safe jumper. Anibale Fly and the two Hemmings charges (Vintage Clouds and Lake View Lad) have to be respected, look potentially well handicapped and strong stayers but I tend to be a little cold on horses coming to this race via the festival. They're short enough prices now, anyway. Two horses I contemplated suggesting were Cogry at 50/1 and Mall Dini who is currently 20/1 on the Sportsbook. I'd been taken by Cogry's penultimate start, and willing to forgive his latest one, but given his Exchange price is in the [300.0] range this no longer looks the target. I couldn't put anybody off Mall Dini, particularly with the Sportsbook going six places. He's not completely straightforward but is a safe conveyance over a fence, fairly treated off his mark and is the type who could well thrive in the unique test of the National. A strong stayer, his shrewd connections skipped Cheltenham in favour of this and he ran an excellent race over a trip much too short at the weekend. That should put him spot on for this, and I'd expect a big run. My selection is a bit more left field. When Alpha Des Obeaux (pictured below) crossed the line behind Thistlecrack in the 2016 World Hurdle, I was completely convinced he would win a Gold Cup in time. A big chasing type, he ran a remarkable race in what I believe to be the best World Hurdle ever run and he looked destined for greater success still over the larger obstacles. Unfortunately, he's had his fair share of problems since then, and he's certainly not Gold Cup material, but I'd be hopeful he could win a Grand National. He ran in the race last year, falling halfway through, but I rewatched the race in preparation for this and was actually quite happy with his jumping. He made a small mistake early but was really warming up to the task and his jumping was fluent enough that it carried him into the vanguard. His head carriage became slightly low at that point and I think it was that which lead to his fall at the fifteenth fence rather than because of any real deficiencies in his jumping. He's not been missed by the handicapper, and is racing off a mark seven-pounds higher than last season, but his stable-switch to Gordon Elliott has seen his form improve by 10-pounds or more so I'm not too worried by that. I was particularly taken by his latest run behind Rathvinden in the Bobbyjo Chase where he shaped like three miles was the minimum now. Rathvinden's exalted position in the market is, in part, due to the fact he's eight-pounds better off at the weights with Alpha but, at several times the price, with the extra mile and the National test looking more likely to suit the Gigginstown horse, I'm going to side with him at this stage.